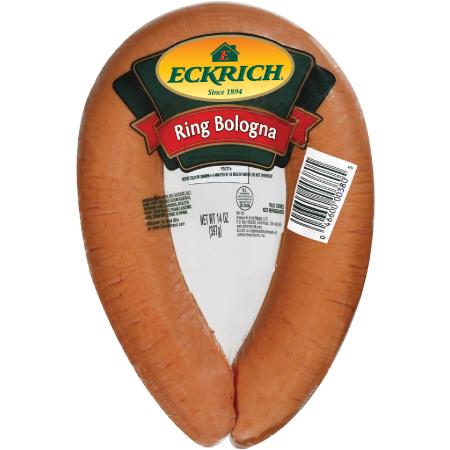 Our original meat bologna is made with chicken, turkey and pork, then pre-sliced for easy snacking, sandwiches and more. 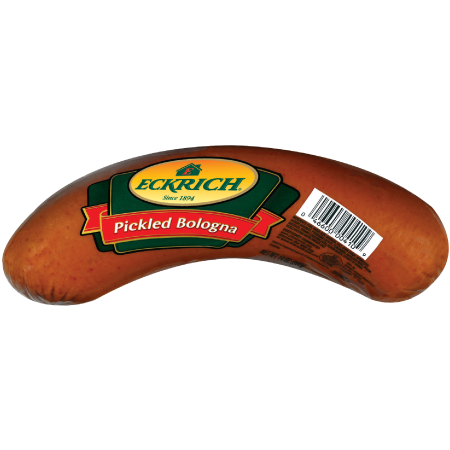 We never use by-products, gluten, soy or artificial colors or flavors. 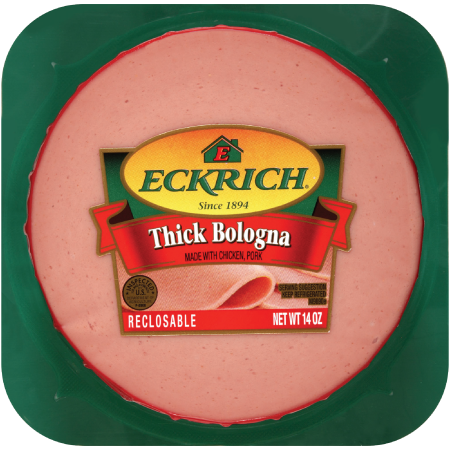 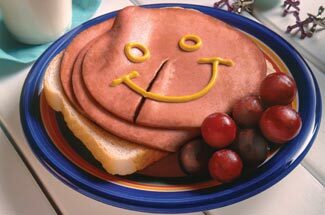 You can always feel good about serving your family Eckrich lunch meat. 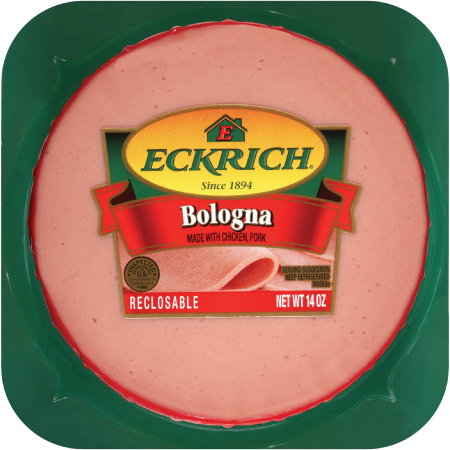 Ingredients: POULTRY INGREDIENTS (MECHANICALLY SEPARATED CHICKEN, MECHANICALLY SEPARATED TURKEY), PORK, WATER, CORN SYRUP, MODIFIED FOOD STARCH, DEXTROSE, SALT, CONTAINS 2% OR LESS OF BEEF, EXTRACT OF PAPRIKA, FLAVORINGS, SODIUM LACTATE, POTASSIUM LACTATE, SODIUM DIACETATE, SODIUM PHOSPHATE, SODIUM NITRITE, VITAMIN C (ASCORBIC ACID).